Sometimes I finish something and while I don't 100% love it, it's good enough for the moment so I leave it and move on. 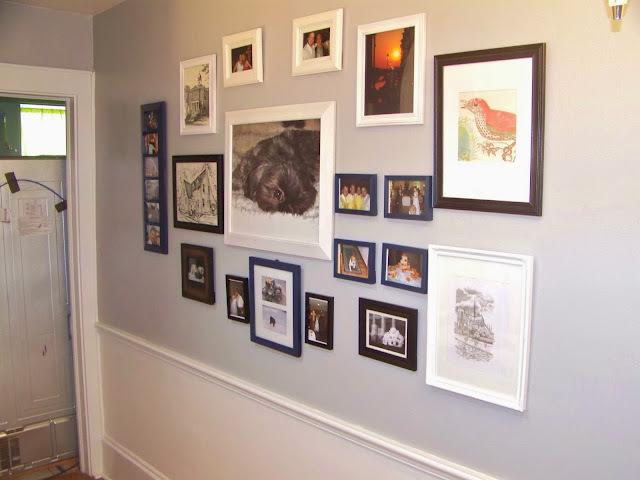 This was the case of the front hall gallery wall. 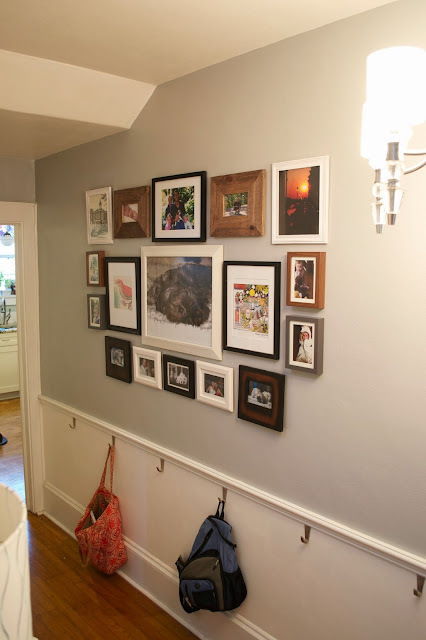 Painting this space was such a major improvement that hanging up the pics back up where they were was good enough. A couple of weeks ago I got tired of good enough (plus I wanted to include some Will pics) so I took everything down and did a little rearranging. Better spacing. I didn't like the awkward big gaps that I originally had. Better symmetry. While in theory I'm ok with things that are not symmetric, in reality it bugs me. Better color balance. Before I had a mixture of frame colors but I didn't feel balanced. I still have a variety of colors but now nothing stands out at a majority. I'm also loving the wood tone frames in this space since it pulls in the railing on the stairs. I'm much happier with this arrangement. Plus, the little guy is now represented on the wall. The other change is the hooks. We have a bad habit of dumping our bags on the dining room table or in a pile on the floor. 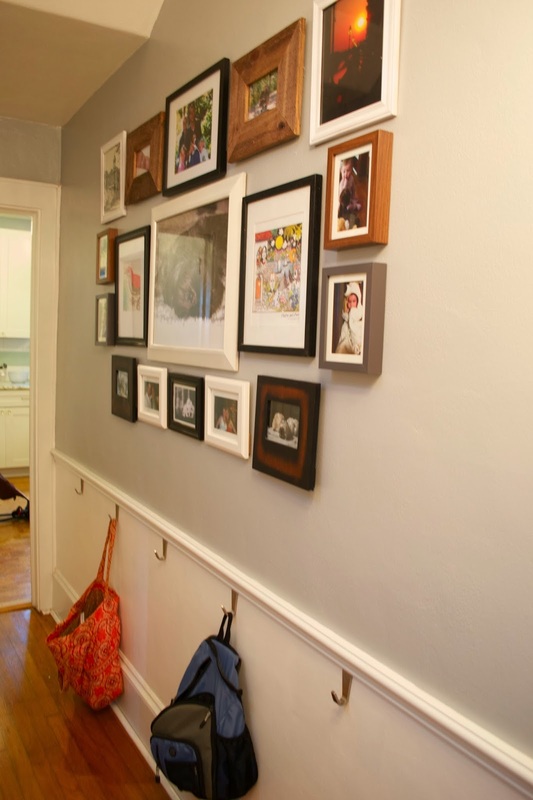 These hooks now allow us to hang our bags up right wen we walk in the door which is a huge improvement. I picked up six of them on a recent trip to Ikea and they fit under the chair rail perfectly.